Coaching is designed within a leader’s unique context, needs and priorities. The process, however, usually has five major steps. Initially, a contracting meeting for the purpose of clarifying expectations and outcomes takes place. The initial meeting could include the executive coaching client, the executive coach, and often either the executive’s senior executive and/or HR manager. A mutual understanding of the coaching process, expected results, specific issues and time frame of the coaching is developed and documented in a Coaching Contract. The Executive Coaching process typically spans a minimum of six months. For emotional and social intelligence competencies there are a number of assessment tools that can be used. These range from a printed simple self-assessment based on Daniel Goleman's Emotional Intelligence Framework (prepared and adapted by The Consortium for Research on Emotional Intelligence), to the ESCI (Emotional and Social Competence Inventory) from the Hay Group, a comprehensive multi-rater online assessment used globally for leadership development. Different EI instruments measure different aspects of EI. Fundamentally however, they all serve to increase awarenes of ability in the various EI competencies, and can serve as a benchmark to measure ability before and after coaching. A list of 25 EI competencies, as drawn up by the EI consortium, can be downloaded here. This step is a feedback dialogue between coach and client. The focus is on relevant data from instrument assessments and 360-feedback performance appraisal. The coach and client collaboratively create an Action Plan that includes strengths, developmental targets and effective strategies for change. The focus is on self-awareness and skill acquisition, and leadership development through the experiential application of these. Interventions are aligned with the client's vision and the key objectives of the business. The Action Plan focuses on behaviors that contribute to succesful leadership performance. 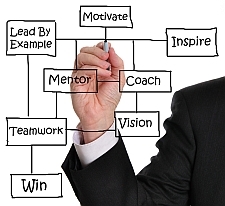 The coach guides and reinforces the development of leadership competencies outlined in the Action Plan. Techniques include action learning, role play, and shadowing. Various tools and frameworks can be introduced to assist in growing insight and skills. Approximately six months after the initial feedback session, a further assessment is conducted. The results of the assessment assist in evaluating the effectiveness of the coaching process. Further development of the executive is determined, and aligned with business goals. Coaching is delivered nationally via in-person and/or telephonic coaching, and can be combined to suit the needs of the client. Coaching engagaments typically run for 6 months. Coaching sessions can be conducted weekly, fortnightly (recommended) or monthly. Coaching contracts generally provide for up to 180 mins per month for coaching. This can be utilised at the client's discretion, depending on the client's time schedule and personal learning style. Examples could be 4 x 45 minute sessions, or 2 x 60-90 minute sessions. Between coaching sessions support is offered via e-mail, Skype text chat, or telephonically. Travel costs are quoted in addition to the coaching rate, as applicable.